I have previously told you how social media has transformed the banking and entertainment industries. Now, here are two Forbes reports proving my point that banks and the entertainment industry must explore social media analytics to tap greater business intelligence. According to this report, the amount of stored digital data will be 48% more than the previous year. As such, banks, financial institutions and insurance companies are leaving no stones unturned to literally cash in on social media analytics in order to make sense of their mammoth Big Data. The author, Mindy Powers, says that banks are monitoring and mining data from all kinds of digital content – from videos and news to social media data – and using analytics tools to gather insightful information about competitor strategies, market trends and most importantly understand customer behavior and traits to build detailed customer profiles. Using advanced social media analytics tools for creating a detailed customer profile is now an essential and inevitable part of every brand’s digital marketing blueprint. And banks cannot afford to be different. Collecting granular details about individual customers and collating them to predict customer behavior in the future, identifying and preventing fraud and understanding customer sentiments are some of the many benefits of social medi analytics for banks. 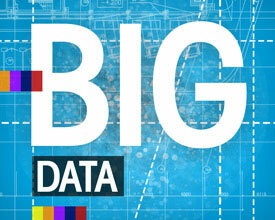 As Powers says, the time is just ripe (for banks around the world) for capitalizing the power of Big Data. Did you know that a music streaming service in the US is actually using social media analytics to “increase their competitiveness in a fast growing market”? Well, the company is Slacker and it uses analytic tools to publish what it calls their “engagement quotient” score – a weekly list of top songs (across genres) based on user-data gathered as they use and perform various tasks (number of times a track is started, a song is listened to from start to finish, a song is shared on social, song skips, channel changes or channel bans .etc) while using Slacker’s online service. This to me is a case in point of how social media and social media analytics are going to revolutionize the entertainment industry business in the future. While success doesn’t come easy for most start ups (unless of course you have played all the right cards); most startups see a dead end within a few months of starting. In many cases, the reasons for this early shut down are – ambiguity of goals and objectives, inability to implement the ideas effectively, creating the right market and finding the right customers, and of course lack of funds. How, then can start-up entrepreneurs avoid running into such a situation? 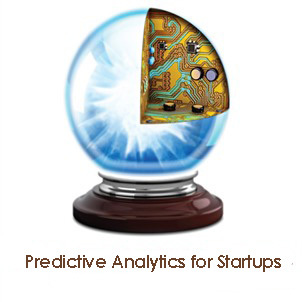 Technology, in particular, “Predictive Analytics” is the answer says Martin Zwilling, founder and CEO of Startup Professionals. He says, “Predictive analytics uses data patterns to make forward-looking predictions that guide you to where you should go next. This is a whole new world for start-ups seeking enterprise application opportunities, as well as social media trend challenges”. It is imperative for startups to be particularly be sure of their next several steps after inception; Predictive Analytics fits the bill perfectly here by keeping startups educated and informed about these business aspects – how their market is going to behave over the coming months, who would want their products and services the most and why, what are their competitors up to; what should they be prepared for. Use Predictive Analytics to consolidate what Zwilling calls a single view of the customer; based on which you can improve your promotional and marketing strategies aiming the right product to the right customer with the right needs. As a startup, you will be often skeptical and apprehensive while making new investments for your startup’s growth. Predictive Analytics minimizes those risks by giving you accurate details of how your choices are currently positioned now and how are likely to do in future, thereby helping you decide if your investment choices are worthy or not. I have spoken about this at length here. And Zwilling only strengthens my opinion that Predictive Analytics helps organizations, especially start ups to identify and resolve the causes for customer attrition. Startups in the BFSI sector can use Predictive Analytics to identify faulty transactions, fraudulent customers, improve underwriting, assess a customer’s financial profile, minimize false insurance claims and even bust false identities. In this era of Big Data where competition is fueled by your ability to harness the power of data in order to make it work for your business growth, the need of the hour for every brand and business organization is Analytics. In fact, a McKinsey report in the Forbes says that Big Data Analytics will determine how sales and marketing are conducted in the future. One of the most important facets that the report highlighted was that gathering customer insights and converting that into critical business intelligence is inevitable for modern businesses. The report says, “The explosion in data and digital technologies has opened up an unprecedented array of insights into customer needs and behaviors”. a) Identifying and pinpointing specifically the immense business building opportunities existing in the micromarkets. b) Understanding consumer decision journey and finding out what factors lead the consumer from starting with merely showing interest in ending up buying the product. 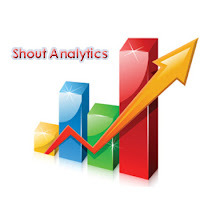 Analytics are also used to spot reasons for and solve customer attrition. c) Using analytics to create detailed customer profiles that include their specific likes, needs, wants and affiliations and use it to aim customers with perfectly targeted and often personalized marketing campaigns plays a crucial role in business success (increase sales by 10% and marketing ROI by 5-10 times). With regard to how competent must modern analytic tools be to successfully tackle the challenges of expanding data streams, McKinsey noted that that natural language processing, predictive and sentiment analytics (to decipher customer behavior) and “algorithmic marketing” will be the key components to look for in advanced analytics solutions. 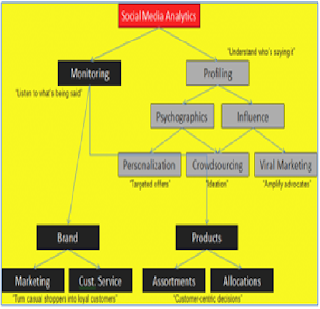 What Features to Look For In a Social Media Monitoring and Analysis Tool? As a business organization that is quite serious about its social presence and social media marketing efforts, you know that your business must harness the power of Social Media Monitoring and Analytics (SMM & SMA) tools. But, how do you zero-in on the best SMA tool available? Here are a few pointers that will help you decide this. One of the most crucial and basic rules of good social media marketing is listening to your customers and audience. The SMA tool that you choose must be able to assist you in effectively listening to your customer conversations, monitor it for negative and positive vibes for or against your brand, measure and quantify it to help you understand what those conversations mean for your brand’s success. Competition on social is cut-throat. To beat your competition on social, you must be empowered with a SMA tool that would help you analyze your brand’s position against your competitors through metric like Share of Voice, Social Mentions, and Rate of Engagement et al. You may have a successful business, but do you know how successful your brand is on the social media? Do you know how your customers react to your brand’s social media efforts? These are critical questions that are detrimental to your brand’s social reputation and overall success. Hence, when choosing a social media monitoring and analytics tool for your business, always pick one that has the best to offer in terms of Sentiment and Predictive Analytics capabilities. Go for a SMA tool which will provide you with simple, yet detailed, summarized and insight-laden reports about your brand’s social standing. Through graphs, charts and illustrations, these reports must simplify the data gathered about your brand’s social standing through social listening, measuring and monitoring. Some of the best SMA tools are those that are easy to set up and user accessible – from the CEO and Market Researcher to the Community Manager. Similarly, find out if the vendors offer continued and periodic help and support post set-up for product introduction, troubleshooting and other related technicalities. Our product, Shout Analytics is one such ideal social media monitoring and analytics tool that is endowed with advanced capabilities and scores high in all the above features.Write to us info@shoutanalytics.com for business solutions. The website attributes this graphic to David Dorf, Senior Director of Technology Strategy, Oracle. This illustration explains how Social Media Analytics (SMA) tools play a crucial role in Customer Profiling. 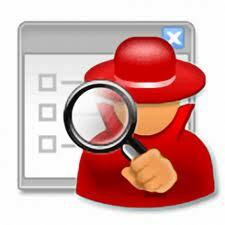 Businesses have a lot to gain from customer profiling. When you know for sure which of your customers are the perfect fit for your products and services or when your customer service decisions are backed by accurate insights on which customer expects what or when your marketing and sales team has valuable info matching every customer’s needs and wants with your product/ services features, then your brand is well set for making outstanding customer service as your forte. For those businesses that are serious about strengthening their relationship with their social audience, SMA tools provide just the right solution for quick but accurate customer profiling. Using social media analytics tools, you can learn in-depth about your customer’s demographics and understand well their likes, interests, desires and opinions. SMA tools help you find out who among your audience are the most influential ones. Knowing the key influencers in your industry will enable you to target them effectively. Riding on the wave of good reviews and positive comments by the key influencers, your brand can expand its reach and increase its social reputation. These two are direct results of having influential influencers for your brand. As I said earlier, when your brand’s influencers spread the word about your brand to their audience and from them to more audience, what your brand experiences is viral marketing at no extra cost. As more people become your customers and use your products, they will come forth to tell you what features of your brand must improve or change. Through SMA tools, you can use these customer ideations to create products and services of their choice, and even make personalized offers personalized exclusively for them; the way they like it.